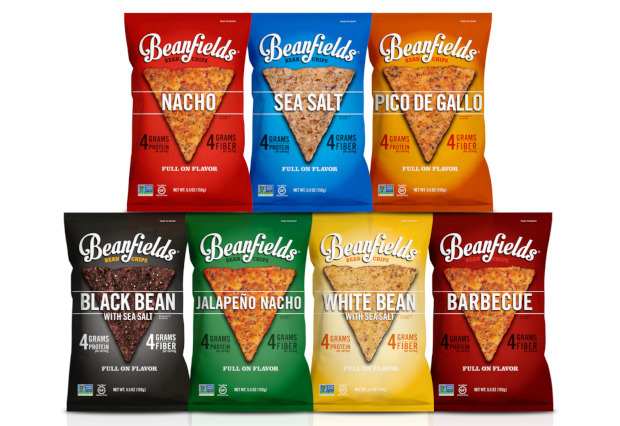 Say goodbye to the boring conventional chip brands and say hello to Beanfields! These delicious bean and rice chips are perfect for dipping, snacking, or as a side. Experience the deliciousness of vegan Nacho and Jalapeño Nacho, along with the rest of the savory flavors Beanfields has to offer. Beanfields White Bean with Sea Salt Bean and Rice Chips offer a light, crisp flavor that’s perfect for snacking. 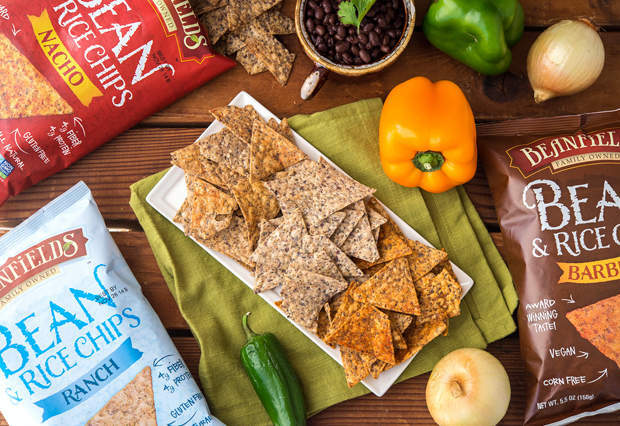 With only four simple ingredients—navy beans, brown rice, safflower or sunflower oil and sea salt—these chips are perfect for dipping or eating straight out of the bag. One serving of Beanfields White Bean and Rice Chips gives you 5 grams of protein and 6 grams of fiber, so you can feel good about what you’re eating. Beanfields Chips are always vegan, certified gluten free, kosher, and Non-GMO Project Verified. Plus, every flavor of Beanfields Bean and Rice Chips is made without corn or the eight ingredients recognized by the FDA as the top food allergens. Beanfields Black Bean with Sea Salt Bean and Rice Chips have a robust flavor and a delicious crunch. This four-ingredient chip is made from black beans, brown rice, safflower or sunflower oil and a sprinkle of sea salt. One serving of Beanfields Black Bean with Sea Salt chips gives you 5 grams of protein and 6 grams of fiber, so you can feel good about what you’re eating. Beanfields Snacks are always vegan, certified gluten free, kosher, and Non-GMO Project Verified. Plus, Beanfields proudly makes every chip flavor without corn or the eight ingredients recognized by the FDA as the top food allergens. With a spicy kick, Beanfields Jalapeño Nacho Bean and Rice Chips will excite your taste buds with their fiery, cheesy flavor! One serving of Beanfields Jalapeño Nacho chips gives you 5 grams of protein and 6 grams of fiber, so you can feel good about what you’re eating. Beanfields Snacks are always vegan, certified gluten-free, kosher, Non-GMO Project Verified and contain zero grams of sugar. 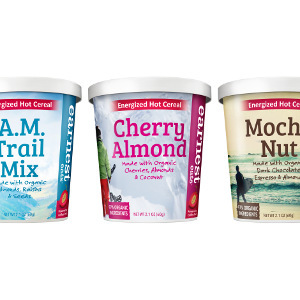 Plus, Beanfields proudly makes every flavor of chips without corn or any of the eight ingredients recognized by the FDA as the top food allergens. Beanfields Sea Salt Bean and Rice Chips satisfy your snack cravings with every delicious crunch. They do it with four simple ingredients: beans, brown rice, safflower or sunflower oil and sea salt. One serving of Beanfields Sea Salt chips gives you 5 grams of protein and 6 grams of fiber, so you can feel good about what you’re eating. Beanfields Chips are always vegan, certified gluten-free, kosher, and Non-GMO Project Verified. Plus, Beanfields proudly makes every chip flavor without corn or any of the eight ingredients recognized by the FDA as the top food allergens. Beanfields Nacho Bean and Rice Chips capture your taste buds with their bold, cheesy flavor. One serving of Beanfields Nacho chips gives you 5 grams of protein and 6 grams of fiber, so you can feel good about what you’re eating. 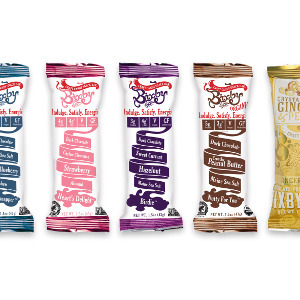 Beanfields Snacks are always vegan, certified gluten-free, kosher, Non-GMO Project Verified and have zero grams of sugar. Plus, Beanfields proudly makes every chip flavor without corn or any of the eight ingredients recognized by the FDA as the top food allergens. Beanfields Pico de Gallo Bean and Rice Chips provide a mouthwatering, mild salsa flavor that’s perfect for parties. One serving of Beanfields Pico de Gallo chips gives you 5 grams of protein and 6 grams of fiber, so you can feel good about what you’re eating. Plus, Beanfields proudly makes every chip flavor without corn or the eight ingredients recognized by the FDA as the top food allergens. Or, don’t tell them! They’d never guess that Beanfields Snacks are always vegan and certified gluten-free, kosher, Non-GMO Project Verified, allergy friendly, and have zero grams of sugar. Beanfields Barbecue Bean and Rice Chips deliver that backyard barbecue flavor and just the right amount of sweet and smoky goodness, with zero grams of sugar! One serving of Beanfields Barbecue chips gives you 5 grams of protein and 6 grams of fiber, so you can feel good about what you’re eating. Beanfields Snacks are always vegan, certified gluten-free, kosher, Non-GMO Project Verified and have zero grams of sugar. Plus, Beanfields proudly makes every chip flavor without corn or any of the eight ingredients recognized by the FDA as the top food allergens. 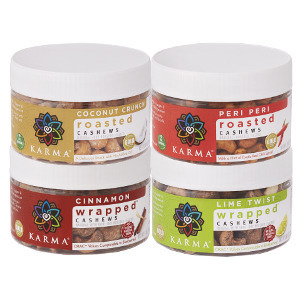 Ingredients: Navy Beans, Brown Rice, Organic Brown Rice, Safflower or Sunflower Oil, Sea Salt. 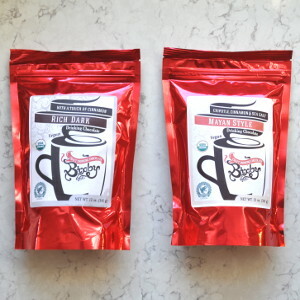 Ingredients: Black Beans, Brown Rice, Organic Brown Rice, Safflower or Sunflower Oil, Sea Salt. Ingredients: Black Beans, Navy Beans, Brown Rice, Organic Brown Rice, Safflower or Sunflower Oil, Seasoning Blend (Tapioca Maltodextrin, Salt, Jalapeño Pepper, Tomato*, Cane Sugar (vegan), Onion*, Yeast Extract, Dehydrated Red and Green Bell Pepper, Natural Flavors (vegan), Paprika, Extractives of Annatto, Lactic Acid (vegan), Grill Flavor (from Sunflower Oil)). 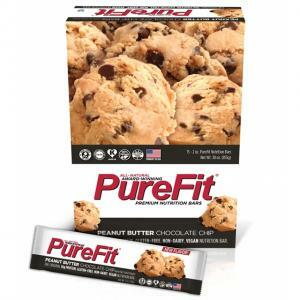 Ingredients: Black Beans, Navy Beans, Brown Rice, Organic Brown Rice, Safflower or Sunflower Oil, Sea Salt. Ingredients: Black Beans, Navy Beans, Brown Rice, Organic Brown Rice, Safflower or Sunflower Oil, Seasoning Blend (Tapioca Maltodextrin, Salt, Tomato*, Cane Sugar (vegan), Onion*, Yeast Extract, Dehydrated Red and Green Bell Pepper, Paprika, Natural Flavors (vegan), Extractives of Annatto, Lactic Acid (vegan), Grill Flavor (from Sunflower Oil)). 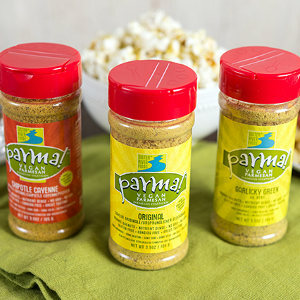 Ingredients: Black Beans, Navy Beans, Brown Rice, Organic Brown Rice, Safflower or Sunflower Oil, Seasoning Blend (Tomato*, Sea Salt, Torula Yeast, Onion*, Spices, Tapioca Maltodextrin, Yeast Extract, Dehydrated Green Bell Pepper, Garlic*, Dehydrated Parsley, Extractives of Paprika, Safflower Oil, Natural Smoke Flavor, Dehydrated Cilantro, Spice Extractive). Ingredients: Black Beans, Navy Beans, Brown Rice, Organic Brown Rice, Safflower or Sunflower Oil, Seasoning Blend (Tomato*, Sea Salt, Onion*, Garlic*, Spices, Yeast Extract, Citric Acid, Tapioca Maltodextrin, Torula Yeast, Tapioca Starch, Natural Smoke Flavor, Extractives of Paprika, Stevia Leaf Extract, Natural Flavors (vegan), Gum Arabic).